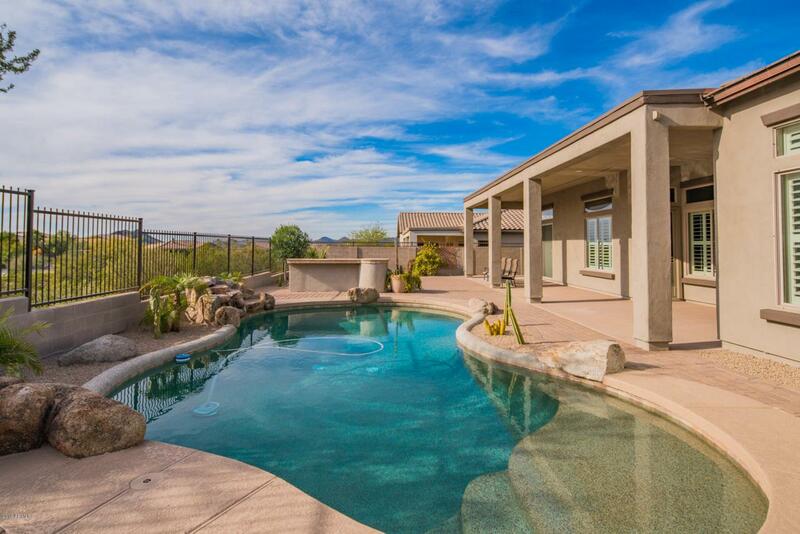 This fabulous single-level home sits on an elevated lot backing to a desert wash in beautiful Westwing Mountain. Excellent curb-appeal with stone exterior elevation, courtyard entry, and iron security door. Numerous recent improvement Just had the exterior painted 1/25/19, new cool deck 1/25/19, upgraded appliances, b-in BBQ area, ceiling fans, landscaping 12 tons of new rock 1/27/19, etc. 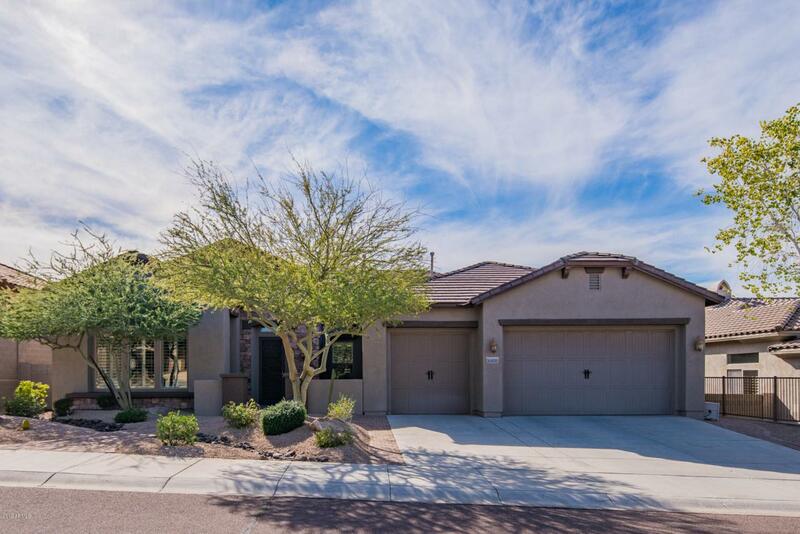 Awesome split floor plan features high 12' flat ceilings, 4 beds plus den, 3.5 baths, extended 3 car garage with epoxy floors and garage cabinets. 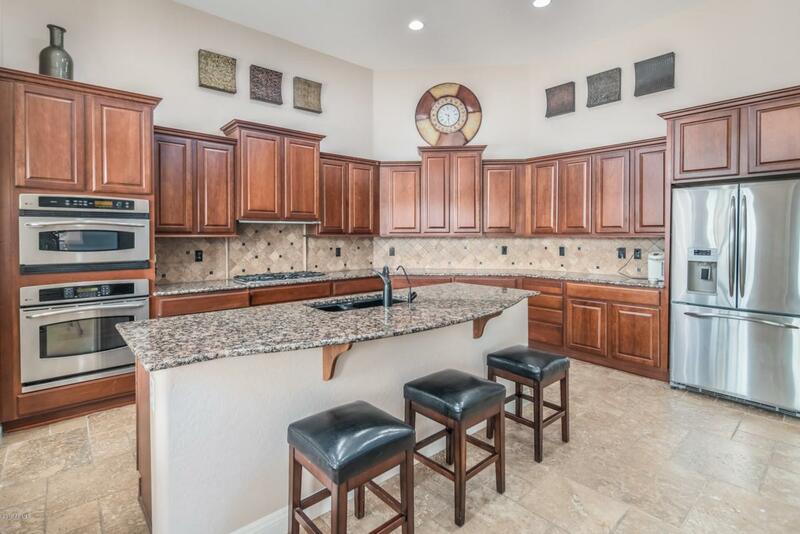 Kitchen rocks with cherry 42'' cabinets, granite counters, SS appls, gas cooktop, tile backsplash, walk in shower, satin hardware, and custom light fixtures. 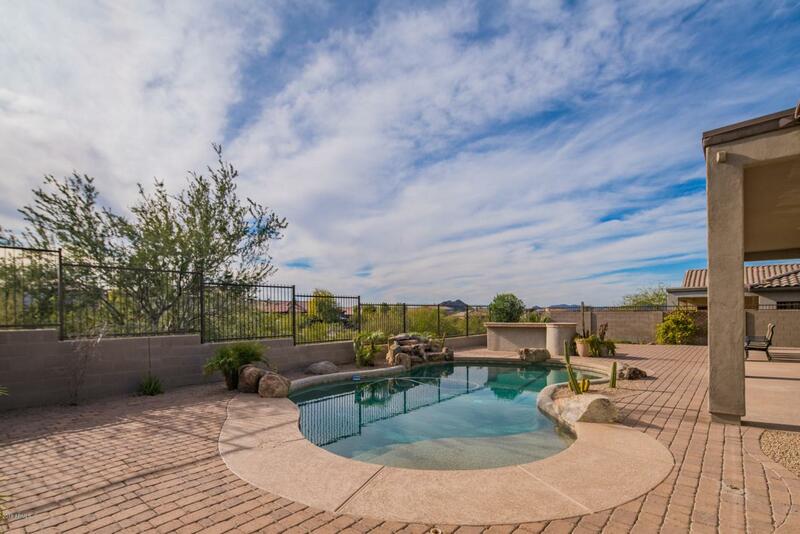 Back yard is equally impressive p-tec spool w/rock waterfall, b-in BBQ, and awesome mountain views! !